Polypropylene is used in a number of different packages. While Flexpak promotes Polyethylene based products, some customer prefer polypropylene in woven wrap material for lumber, beams, and other wood products. While Flexpak recommends woven polyethylene wrap for lumber and wood products, the sales department will work with customers to provide the necessary product (design and poly) to meet their needs. Woven Polypropylene Wrap is used by a few customers in the United States for lumber and wood products. The PP wrap is often characterized as having a more brittle feel. In fact, polypropylene is “harder” and more brittle due to the process in making this poly. While it has aesthetic values, polypropylene wrap fails in a few comparative areas to polyethylene woven wrap. The brittleness of polypropylene wrap makes it difficult for workers to apply this packaging to a unit of lumber. Often workers have complained about the difficulty of application compared to a more flexible polyethylene product. Woven Polyethylene wrap often has a clean shine “look” in the lumber and wood industries. This same shine can be found in Polyethylene woven wrap, and if this is an important characteristic, the coating can be made with a shining poly characteristic upon request. 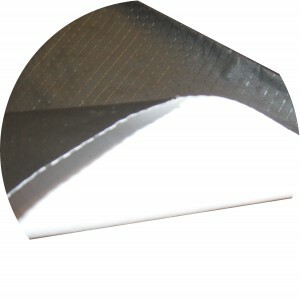 Polypropylene wrap has often held a higher price than polyethylene. This is largely due to two reasons: (1) demand of woven polypropylene wrap has been much lower than woven polyethylene by mills across North America. While lower demand usually lowers the price, the demand has lowered production requirements which limits the supply to North American customers. And (2) the resin prices often fluctuate to be more expensive than PE, especially when considering purchasing in lower quantities due to a lower demand.